Here’s the good news,”The temptations in your life are no different from what others experience. And God is faithful. 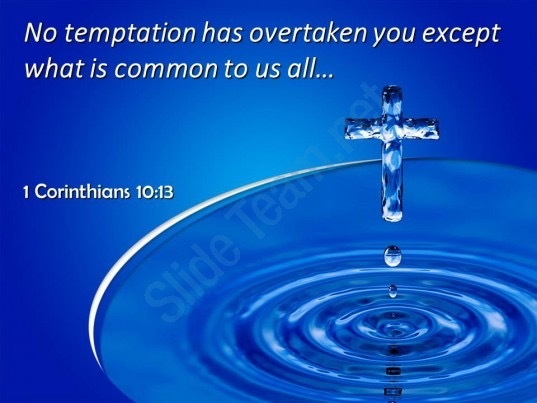 He will not allow the temptation to be more than you can stand. 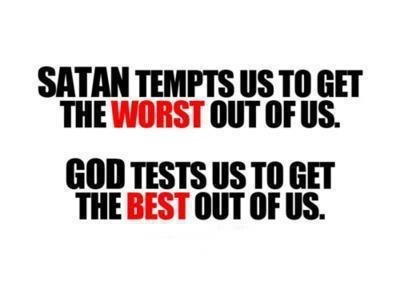 When you are tempted, he will show you a way out so that you can endure.” (I Cor 10:13) Satan tempts to get the worst out of us but God test to get the best out of us! This entry was posted in Ministry and tagged faithful, pass the test, temptation, test. Bookmark the permalink.